Why wait, move in ready Grand Haven in Clarks Rest community. Featuring Hardwood in Foyer, DInning room, Kitchen. Huge walk-in pantry. Gourmet Kitchen! Stainless Steel Appliances. Laundry on 2nd Floor. HUGE Owners Closet. Sitting Room at Owners Suite. Upgraded Tile @ Owners Suite. Finished Lower Level Room, Rec.Room and Full Bath. Gas Fireplace. 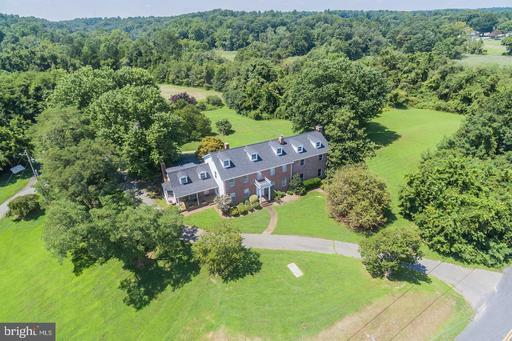 Gorgeous colonial set on 5 acres of privacy. This home has it all- inside and out! Large deck on back of house w/sub deck wired for hot tub. 16x32 inground pool with tiki hut for entertaining. New roof, new carpet, fresh paint and stainless steel appliances. Basement features wood stove, aged barnwood, and ceiling fans. Separate 36x24~ three-car garage. Stunning landscaping! See it today. 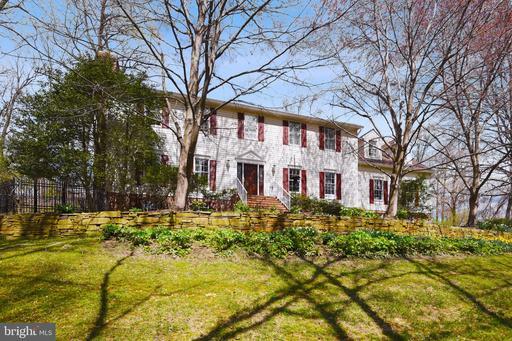 Beautiful Cape Cod in sought after Lutherville. Maintenance free exterior with newer vinyl siding and replacement windows. Beautiful hardwood floors on main level w/expanded living room for added space previously a bedroom which can be converted back easily. Remodeled full bath on main level . Upper level bedroom with additional play area or den. Kitchen remodeled with table space and built in cabinetry for added storage. Walk out from kitchen onto screened porch with adjoining deck. Enjoy gorgeous private rear yard oasis featuring level yard and fire pit. Lower level private bedroom with attached bath and walk in closet. Cozy family room and laundry with storage. Fully heated and air conditioned garage with storage. Additional storage in rear shed. Conveniently located to schools, shopping and major highways. 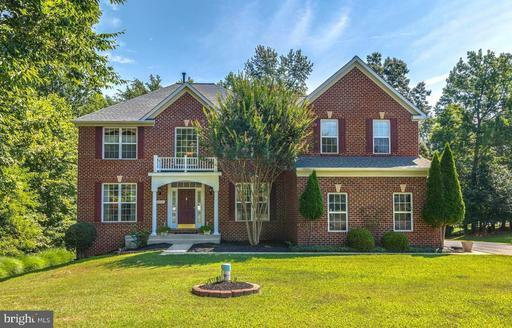 Amazing opportunity to own this gorgeous all brick home situation on 3.5 acres of peace and tranquility! Featuring 4 bedrooms 3 full bathrooms. The home includes many beautiful modern updates throughout! A stunning spacious sun room with skylights and a pellet stove! Huge master bedroom with custom closet. Master bathroom with jacuzzi tub. A newer kitchen to include stainless steel appliances and a large island! Enjoy entertaining family and friends on the huge back deck overlooking the lovely private lot! Upstairs and downstairs family rooms. Downstairs family room to include a wood burning fireplace with a wood stove insert. Plenty of storage offered with the utility room, two car garage and over-sized shed. The home has been professionally painted and cleaned. Seller says tax record is incorrect with regard to square footage as it does not include the huge upstairs sun room! No HOA! STRICTLY AS IS - HOME NEEDS WORK! SELLER WILL MAKE NO REPAIRS ~ VALUE IS IN THE LAND 44.7 ACRES IN THE HEART OF WHITE PLAINS ~ BRING YOUR IMAGINATION! NOSTALGIC WATERFRONT COMMUNITY just an hour from the Wilson Bridge. What shall it be? River or Creek? is your opportunity to own the package. This offering includes a 5BR, 2.5 BA main residence, 1BR/1BA guest cottage, two piers, salt water inground pool in Colton~s Point. Decompress. Enjoy incredible Potomac River sunsets vistas that include St. Clements Island and Stratford Hall. You have the amazing option to launch your boats, SUP and kayaks, fish, crab, and grow oysters from one of two piers. Each level of the waterfront home includes multiple indoor and outdoor living spaces. You will appreciate Hardie siding and roof shingle, hardwood and cork flooring, gorgeous and very functional galley style kitchen with quartz countertops and newer appliances, a half bath, separate dining room, huge family/dining room, and another living/entertainment room that steps out to large screened porch with stamped concrete floor and lots of space for crab feasts and riverside chats. Waterside of the home opens onto private, landscaped lawn with inground, salt water + solar heated pool. Dual stair case features two second floor sections, each with a full bath. Owner~s section features 2 closets, brick feature wall and large upper level deck with river views. Guest house has cozy cottage feel with entry into living room, one bedroom, bath, and sunken kitchen/dining area. Large separate storage area too for kayaks, lawn equipment etc. Attached 2 car garage has built in storage. of hardscape throughout the property include walkways, driveway, patio, plus 2 sheds and lovely accents from the multiple bulbs, trees and annuals throughout the property. Better than new immaculate home that shows like a model! 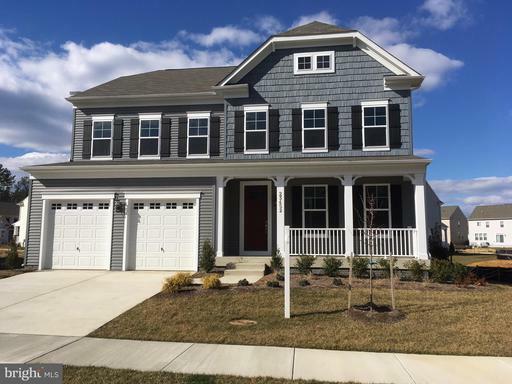 Enjoy all of the community of Twin Ponds, the close proximity to NAS PAX and both Leonardtown and California shopping. This home is only 2.5 years old with plenty of time left on home warrantys. Located in the new Duke elementary school district as well as Leonardtown middle and high school districts. This home has been primed and is ready to go. Skip the hassle associated with building a new home and come take a look at this well planned and maintained home. Enjoy a meticulously groomed lawn that is hard to find with new construction as well as the following features:- 2 bump-outs on both sides and the back of the house. - Hickory wood floors line the entire first floor as well as the second floor hallway. - High end painted maple cabinets with soft close doors adorn the oversized gourmet kitchen with specialized hood over the gas cooktop. - Large farm sink with Moen MotionSense touchless faucet for easy cleaning.- Downstairs escape to family movie night in the privacy of your own 18 x 18 movie theater. - In-law suite includes large bedroom and full walkthrough bathroom. - The common area can be used as a recreation area, game room and includes a wet bar with granite counter top.- Crown molding and recessed lighting throughout most of the home.- Oversized bathrooms with granite countertops.- Master bedroom features tray ceiling and massive his and hers closets.- Master bath includes his and her sinks and a dark wood color porcelain tile floor.- Smart home features Ecobee smart thermostats, Chamberlain WIFI garage door openers, Ring Pro doorbell, GE Smart WIFI washer and dryer, WIFI enabled RainBird sprinkler system controller for easy programming from anywhere, and FLIR 2k resolution security cameras on the outside of the house.- Large 14 x 16 enclosed maintenance free deck with accompanying 14 x 14 open deck perfect for entertaining. Stairs from the open deck let out to a concrete pad and landscape rocks under the deck for easy maintenance.- Laundry room/mud room is equipped with upgraded storage cabinets, a utility sink, and a side door for easy outside access.- Garage floor has been sealed with epoxy coating for durability and easy clean up.- Walk out basement with no sump pump needed. Perfect for owners who like to take vacations without worrying about their basement getting flooded while theyre gone.- Whole house humidifier- Whole house water filter system- Tankless water heater Gas- Gas Fireplace- 30 year roof- 10 year structural warranty from Dec 2016- 9 foot ceilings in basement and on 1st floor- Parking padThis is the largest lot in Twin Ponds and includes a large wooded area behind the home for privacy. Twin Ponds has a great community of people with lots of kids and multiple community functions throughout the year. This home is right in the middle of everything that you need. With a short drive to Harris Teeter as well as Leonardtown, you can be anywhere that you need to be in 5-10 min. With bump-outs on each side of the house, each room is significantly larger than similar models allowing for an oversized kitchen island and triple kitchen window. Welcome to this handsome colonial which features almost 2200 square feet, 3 finished levels, 3 good sized bedrooms, Master Suite with private full bath, Family Room with Stone Fireplace, Formal Dining Room with pretty moldings, spacious Kitchen, large Rec/Game Room, Oversized 2-Car Garage with custom floor, Large deck, beautiful pool surrounded by brick pavers, garden shed and estate fencing. 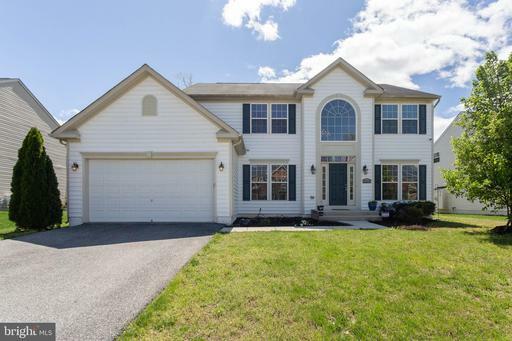 Located near Mount St Marys College and Route 15 and only 15-20 minutes from Frederick. Perfect Home, Perfect Location Perfectly Priced for Todays Market. 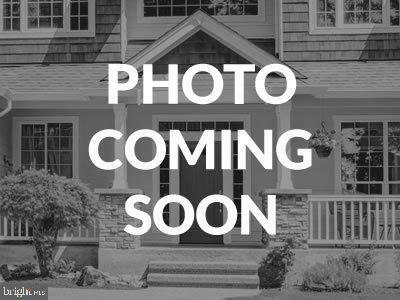 You will love this warm and inviting single family home in sought after Woodburn Estates subdivision in the heart of Clinton. 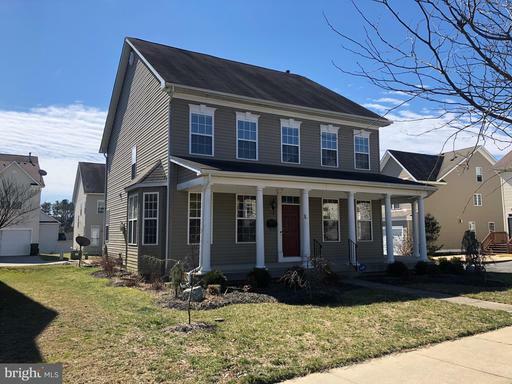 Tons of natural sunlight throughout the house, an open floor plan, office on the main level, spacious kitchen, dining, family, and an amazing sun room. The basement is partially finished but large enough to entertain friends and family. Peaceful and wide open wooded backyard for you to enjoy. Original owner - exceptionally well-maintained. 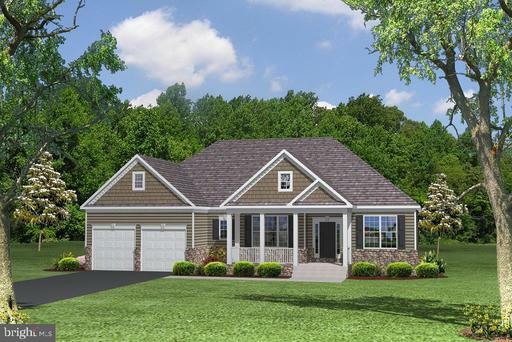 **TO BE BUILT** Quality Built Homes newest rambler to be featured in Meadows at Town Run! This is one leveling living at its finest. Complete with a split bedroom floor plan...a large master suite on one side and the other 2 bedrooms on the other side of the house! Huge galley kitchen that opens to the family room. A sunroom like breakfast area that walks out to a covered porch. What more can you ask for? Get in soon while its still pre-construction pricing! 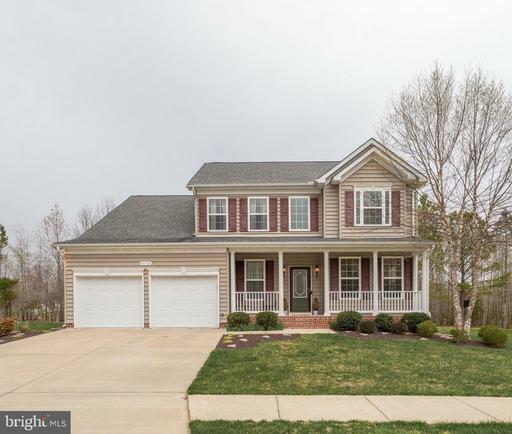 This beautiful 5 bed, 3.5 bath Southill in Stone Ridge sits on .67 acre lot backing to Maryland Golf Country Club! A wide center hall with a beautiful staircase leads guests to a gracious family room with wood burning fireplace wall of windows. Inviting Living and Dining room for entertaining friends and family throughout the year. The Kitchen is warm and welcoming with something good on the stove at all times. Its the room where your family will head for when they come home and you wont run out of space. The morning rm and 3 season area will allow you plenty of room to gather with beautiful views plenty of natural lighting. First floor office, laundry garage are conveniently located to kitchen. The second level features a Master suite~spacious yet intimate~a private place for quiet times with a gas fireplace. Spa bathroom with double sink, corner soak tub separate shower. Three additional bedrooms, full bath and overlook to family room foyer complete the 2nd level. Fabulous lower level with spacious family room with gas fireplace opens onto a large private patio, hot tub to expand leisure activities to the outdoors. Optional in-law suite available with beautiful kitchen area, bedroom, full bath, exercise area plenty of storage. No shortage of living or storage space in this beautiful home. PARTY ALL SUMMER...on the large patio deck, you will LOVE the yard and privacy. Sellers are provided a One Year Home Warranty for new buyers. Pool table and light are negotiable. Dont miss your opportunity in owning this beautiful home in the much sought after community of Stone Ridge! 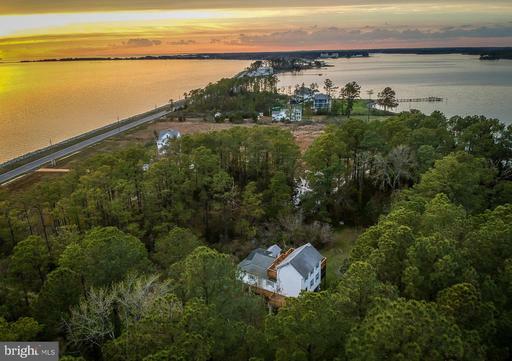 St George Island water view house and additional waterfront lot . Original home was built in 1895. Current owners had it raised a full level and put on concrete pillars then had addition renovations over the years. It has been well cared for has great character. 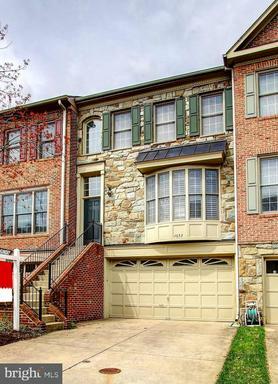 Multiple decks overlooking creek side Potomac river side!. Screened porch. Wood floors. Gas Fireplace. Additional lot makes a total of 2.18 acres. Additional lot has an EDU. Buyer to pay fees for hook up. This immaculate Pembrooke Home located on a cul de sac street is a must see! Great location that provides an easy commute to PAX and close to shopping. 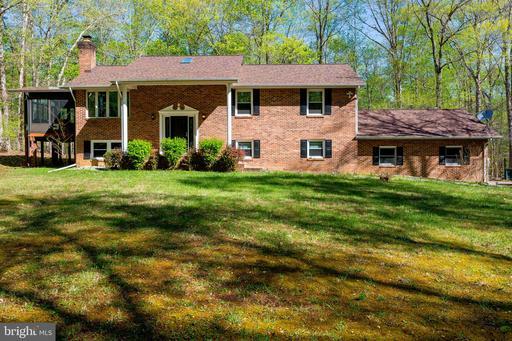 This home backs to a wooded lot and includes a private deck for entertaining. The charming front porch, open foyer and hardwood floors are just a few of the many features of this pristine home. Featuring 5 spacious bedrooms, including a master bedroom with a gorgeous master bath and huge walk in closet. 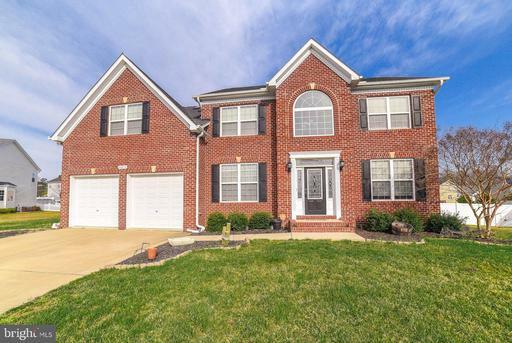 The fully finished walkout basement provides even more space to this open floor plan home. The lawn irrigation system is a desirable feature that keeps this well landscaped home looking great. Schedule your showing to see this home today! Bring your sailboat! A deeded, deep water boat slip is yours with this beautiful waterfront duplex with stunning views of Breton Bay/Combs Creek. Perfect for entertaining inside and out. Open concept main-level inc kitchen, dining, living spaces, with a beautiful water view! Lower level has custom bar and rec space with direct access to the yard and pier. End-of-complex unit has nice privacy. Garage, too! Million-dollar views and serene privacy await--youll enjoy beautiful sunrises over the St Marys River and your own sandy beach! Custom coastal design incorporates walls of large windows, open-concept living spaces and upscale amenities all perfect for waterfront gatherings. Built in 2014, this lovely home has a cooks kitchen with stainless appliances, glass-front cabinets, upgraded granite countertops, and island. Its open to living/dining spaces, all looking out to the river--such a peaceful spot to cook, entertain, live! Enjoy morning coffee on the balcony - the light on the water is gorgeous - and nights in front of the fireplace with views of the stars. Lush woods and lawn flank property for enhanced privacy. This Cape-style home has nearly 2600 square feet, 3 bedrooms, 2.5 bathrooms and sits on 2 acres. Master bedroom suite with luxurious bath is upstairs, with a spacious second living area, both with access to the wide 2nd-floor balcony. Step outside to enjoy nearly endless water views and almost 300 feet of private waterfront with rip rap. Fish, crab or relax on the pier with space for a boat slip. Plenty of storage inside and out including an oversized detached 2-car garage. This home also features public sewer, a rarity for the area. Plan your lifestyle getaway today - just in time for the start of boating season! Tired of spending time looking for parking? Look no further this 4 lvl spacious Otterbein Townhouse features garage parking and a parking pad to boot!Located conviently and walking distance to Dwntwn yet tranquil Wheeler park within steps! Nestled in a top shelf commuity this property offers location, convience and yes Garage Parking!! 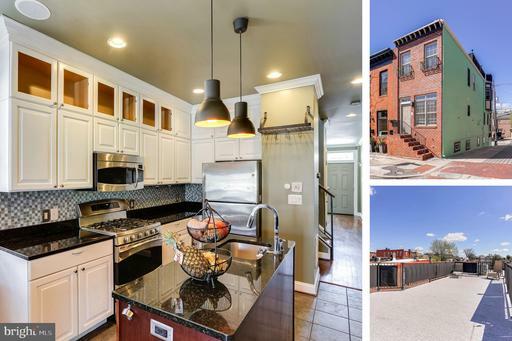 Incredible historic home has been renovated and modernized. 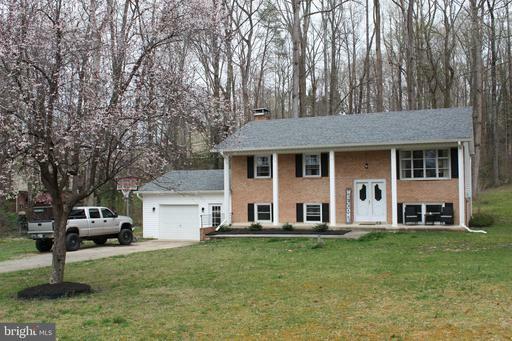 Home sits on majestic bluff overlooking the Patuxent River. 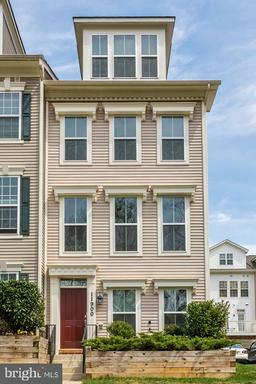 Convenient location to PAX River, DC, shopping, and area public and private schools. 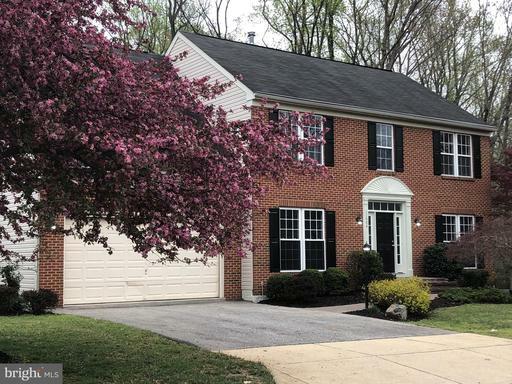 Beautiful, original hardwood flooring, updated kitchen and sun room with honed granite counters, great room and master suite addition with fireplace and brick patio. Home offers gracious, level backyard with level pasture for horses, pool or any outdoor activity. Pilings for pier are currently installed. 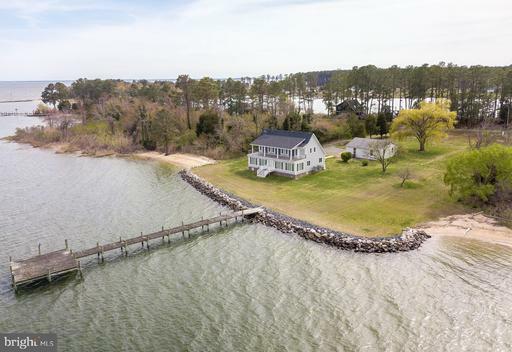 Patuxent River provides easy access to the Chesapeake Bay. 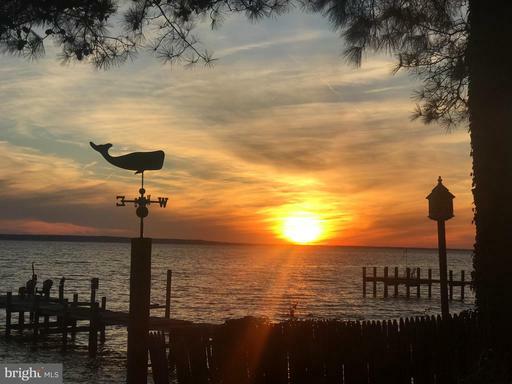 Where the Potomac meets the Chesapeake, just a short distance from Point Lookout State Park, this is the perfect family get-away. Large bright galley kitchen w/table space, Family room has row of windows looking out to the Bay. 4 BRs with a large nontraditional 5th BR, has door to back yard. Outdoor shower to get that sand off. Terrific fishing off the bulkhead, with a fishing deck and pole holders in place. Just set up the chairs, set your poles, enjoy the amazing sunsets while catching dinner! 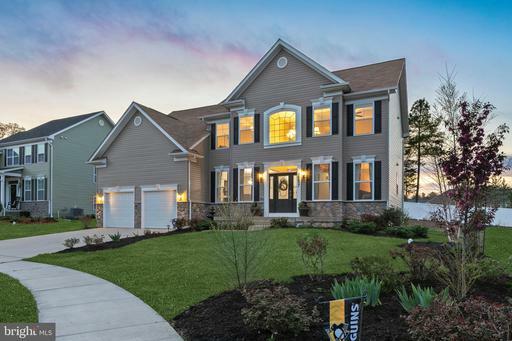 Beautiful Convington model built by Sturbridge Homes and located at the end of a cul de sac. Step into this Pottery Barn like model home. 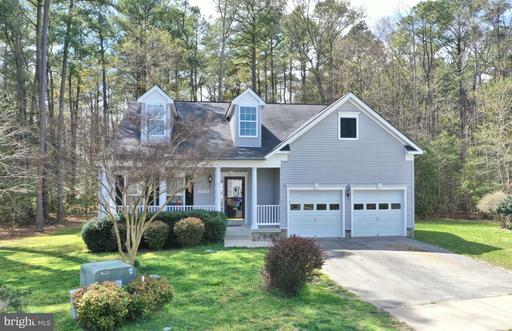 Featuring 5 spacious bedrooms, 3.5 baths, and upgrades galore! 3/4 inch hardwood floors throughout the first floor and extra wide base boards and crown molding. Upgraded cabinetry, lighting and hardware. Beautiful white kitchen that opens to the stunning 2 story family room featuring a custom stone fireplace that extends to the ceiling. The kitchen features gas cooking, ample cabinet space, pantry, and a huge island that is perfect for entertaining. The stunning dining room features tray ceilings and main floor office has glass French Doors and lots of natural light. The owners suite has a huge walk in closet and en suite bath with upgraded white tile, soaking tub, and separate walk in shower. Upstairs you will find additional 3 spacious bedrooms with ample closet space. The finished basement has 9ft ceilings, theatre area, workout roomand another large bedroom with walk in closet and en suite bath. There is also an extra 700 sqft of unfinished area, the perfect storage space. Gas heat, main floor mudroom/laundry, extra wide steps inside and out, upgraded elevation, custom blinds, extensive landscaping, and brick patio are just a few more of the extras this awesome home offers. 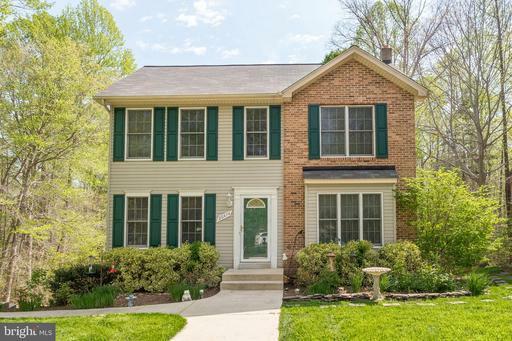 Minutes from PAX river, shopping, and schools, makes this home the perfect location. Beautiful 2,500sqft End Of Group, 3 bdrm, 3.5 bath home in premier location of Butchers Hill. 1 car private parking pad small garage for a motorcycle! Balconies on main/upper levels. Roof top deck w/ amazing views! High efficiency home exterior walls, roof, tankless H2O heater, furnace, washer/dryer. Gourmet kitchen. Finished basement - 4th bdrm/den possible. New security front door, new roof, 2008 build not remodeled, gas stove, crown molding, no carpet and 1st level deck great for grilling! Roof top gardens Seller grew squash, berries, peppers, herbs, lavender! 9ft ceilings. Water spigot on 2nd level deck. New Bamboo floors in upstairs bedrooms. Exterior French doors in basement rear above ground you can pull a motorcycle in. New tile floor in basement. Speakers/Intercom inside and outside - JBL audio. Smart home - Nest thermostat - Nest smoke/carb detector. Fresh paint, freshly painted cabinets and new toilet seats. The best neighbors in Baltimore / block parties / lifelong friendships. Neighbors know each other and help one another. Great community. Great views: water / city line / Patterson Park. Basement could be great for renters! Motion lights in bathrooms on 1st floor and master bathroom. Front door porch light is on day/night timer. ADP Security System. 4th of July rooftop fireworks! You can see 3 different firework shows at once! Fleet week rooftop party - Blue Angles fly overhead! Energy efficient house! Low electric/gas bills $150 average. Older homes in city have much higher bills. No HOA! The neighborhood paper, Butchers Hill, is issued every month outlining activities locally as well as local news. Butchers Hill has an association if you wish to voice your opinions for local topics. Freshly sealed and painted stucco wall. All gas lines/sewer lines from the street to the house have been replaced, most of the city will still need to have this done and can cause a major headache during replacement. The most beautiful/functional/wide alley in Baltimore City. Adjoining wall to neighbors is thick concrete blocks! Seller has never heard them! Low street noise since the 1st floor is off of the street. Same day delivery Amazon Prime / Grub hub / Uber Eats. You can order any type of food or booze you want! Internet access is great! Steps to: Food/Drink - Coffee Charmed Kitchen: 3 Minute Walk. Water for Chocolate: 5 minutes 660 Steps The best food in the city. Butts and Bettys 500 steps Free pool and draft beer. Great Pizza: Johnny Rads Pizza 880 steps Best slice of pizza in city. La Barrita Restobar- 440 steps Argentinian food a must try!. Ale Marys: 1320 steps Best bread pudding! Work: Johns Hopkins: 10 Minute walk 1300 Steps. Park Life: Patterson Park: 220 steps - park, pool, free yoga and free concerts! The best place to be in Baltimore! Fells Point 100 bars, restaurants and shops! Welcome Home to this stunning custom home located in the prestigious Longmeade Community in historic Port Tobacco located across from 322 acre Thomas Stone National Park. This incredible home is situated on 1.93 acres with 5 bedrooms that includes a second master, 4 full bathrooms and 1 half bathroom. 3,670 sq ft plus an additional 1,320 sq ft that is finished in the basement. From the minute you walk in the front door, the elegant design, inviting rooms, and upgrades throughout the home, will be sure to impress! Brand new gleaming wood flooring, carpet, and energy-efficient/"smart things" enabled black stainless steel appliances just to name a few! A stunning breakfast / sun room, open to the custom kitchen features white glass cabinetry, granite counter tops, wine rack, desk and an over-sized island! Open to the kitchen is the light filled, yet warm and spacious family room with a gorgeous stone fireplace and a quick exit to the upstairs by way of a second staircase. This home has been meticulously maintained and includes 2 newer hybrid furnaces, a whole house water filtration system and a newer 50 year roof! Enjoy entertaining your friends and family grilling on the large stamped-concrete patio!! Don~t miss this rare gem! It is offered below recently-appraised value!! Schedule your private showing today! Nestled on a tree-lined street in the original section of popular Williamsburg Village, this 4 bedroom, 2.5 bath home enjoys a recent renovation highlighting its spacious interior and traditional exterior. Beautifully refinished hardwood floors on the main and upper levels provide warmth and complement the freshly-painted interior. Wood-burning fireplaces are located in the living room and family room. The light-filled updated kitchen has a roomy breakfast area for a table and chairs, new granite countertops, newer appliances and new flooring. A separate formal dining room has double-door entry from the kitchen. An updated half bath and front hall closet in the entry foyer complete the first floor. The upper level offers 4 ample-sized bedrooms. The 2 full bathrooms are completely renovated. The upper level has double-pane replacement windows. New wall-to-wall carpeting in the lower level family room and new sliding glass doors with built-in mini-blinds are a great convenience to walk out to the large level backyard. A laundry/utility room, and storage room/workshop complete the lower level. Other features include: Oversized one-car garage garage door and automatic opener replaced 2015. Dishwasher range new 2017; new kitchen floor; water heater and HVAC new 2018 water heater furnace are fueled by natural gas; architectural-shingled roof new 2019; oversized gutters downspouts new 2019. 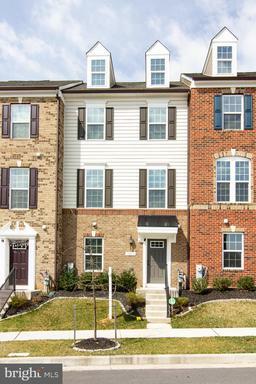 Short distance to public transportation and Olney Elementary School. 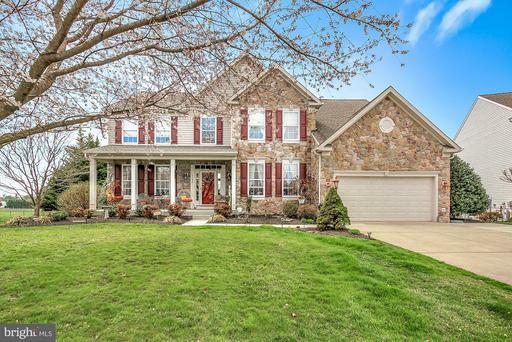 Minutes to other public and private schools and to shopping, the public library, aquatic center, recreation, and other amenities of Olney. Short drives to major commuter routes, the ICC, and two Metro stations. THERE IS NO HOMEOWNERS ASSOCIATION IN THIS NEIGHBORHOOD! 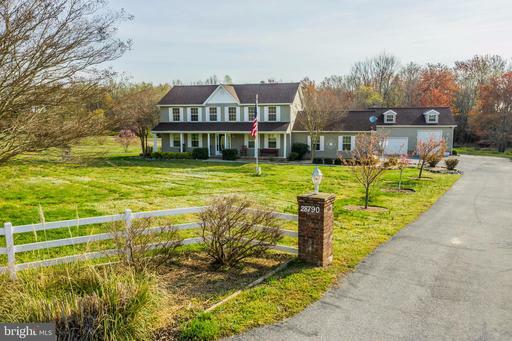 Beautiful Colonial in Mary Catherine Estates on over 1 acre. Landscaped front makes for beautiful curb appeal. Home features 4 beds and 2.5 baths, lots of room to grow into! 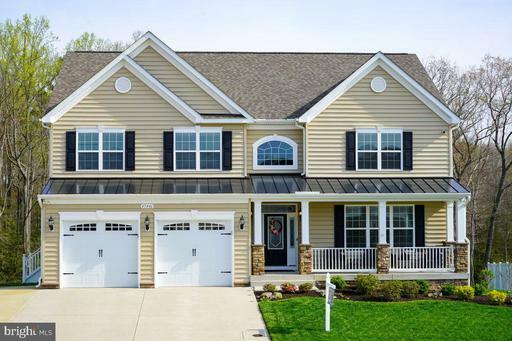 Exceed your expectations--this gorgeous Colonial has beaucoup upgrades and custom features! Two-story family room adjoins extended kitchen w/big island sunroom w/transom windows. Living dining rms plus study complete the main level. MBR has high ceiling sitting area, HUGE walk-in closet, superbath w/deluxe shower, jetted tub. Finished basement inc theater game rms w/custom built-in bar, 5th BR, 3rd bath, storage rm. Hardwood floors, ceramic tile, upgraded trim, surround-sound wiring, composite deck, solar panels, fenced yard, propane heat tankless water heater. Lovely Hollywood neighborhood, on a cul-de-sac, with a nice big yard! 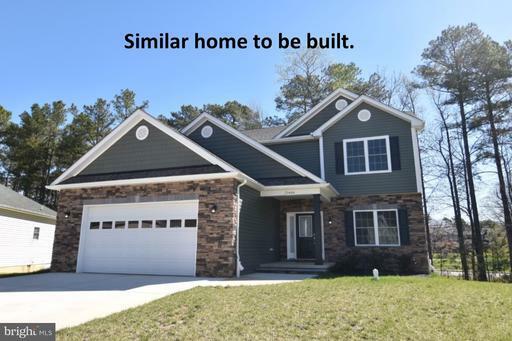 Compare to new QBH construction in Twin Ponds--more for your money here and move-in ready! 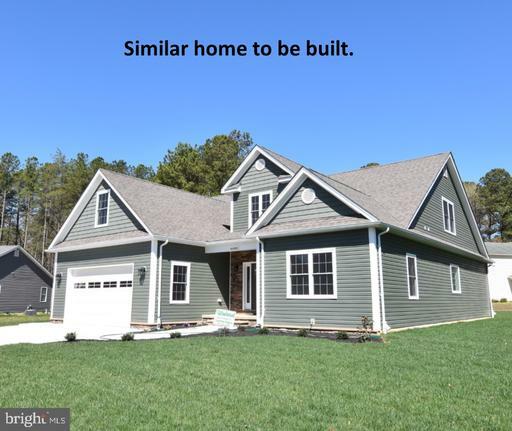 Quality Built Homes QBH Compton model on quiet cul-de-sac just minutes to NAS Pax River. Backs to wooded conservation area w/ naturally flowing stream and features: 5BR/3.5BA; Open Flr Pln; Formal Din. Liv. 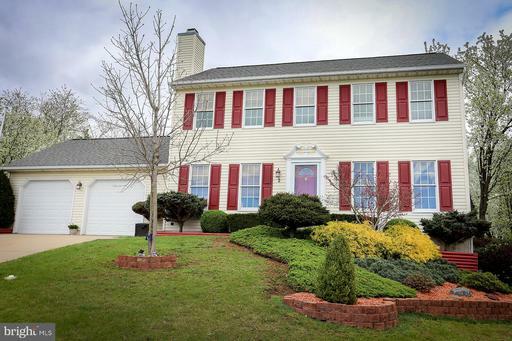 Rms; Lrg open Kitchen w/ island and huge pantry, gas cooktop, built-in microwave, Family Rm w/ Gas FP; Grand Master Suite with double vanities, large soaking tub and huge walk-in shower ; Finished custom basement w/Rec Rm, BR and Full BA that is ideal for entertaining. Brand new tankless hot water heater. Listing Broker: Leonard Realty, Inc. Welcome to Secret Cove! Exceptional custom rambler on full, walk-out, finished basement. Tranquil setting with expansive decking and gorgeous mature landscaping. Main level of home has hardwood throughout. Enjoy beautiful updated kitchen with stainless appliances, gas cooktop, work space and laundry area. Master suite has its own private sitting area with fireplace. Open floorplan with bay windows; rooms are flooded with light. Fully finished lower level offers living area with fireplace, a private bedroom and full bath; ideal for guests or use as an in-law suite. ABSOLUTELY STUNNING! Spectacular waterfront property, with 5 bedrooms and 3 full baths in the main house, an attached 1 bedroom apartment, and a detached 2-car garage with 500+ square foot studio above. 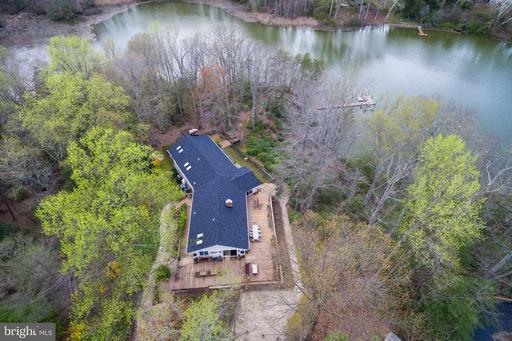 Located on 2.84 acres, with a 100 foot private dock and 160 feet of water frontage, this home has all the peace and quiet you could hope for. Relax in the heated saltwater pool and jacuzzi, enjoy the wide open floor plan with chefs kitchen and Wolf range, retreat to the main level master suite with attached sitting room and steam shower, and take in dramatic sunsets over the St. Marys River from multiple outdoor decks and patio areas. Whether you are looking for a weekend getaway, the perfect vacation rental opportunity, or wanting to enjoy full-time living, this property will exceed all of your expectations. It is truly one of a kind! 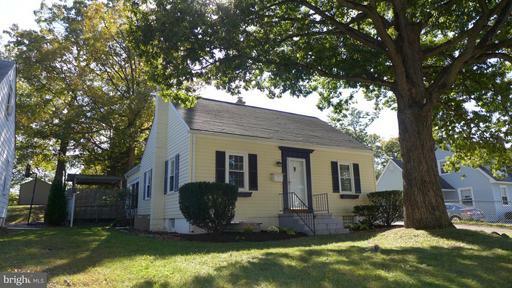 Beautiful fully remodeled colonial sitting on a tranquil 3 acre lot of flat land with detached garage! The renovations are immaculate! Greeted with 20 foot ceilings as soon as you walk into the door! A breath taking kitchen with brand new cabinets, granite countertops, stainless steel appliances, and a gorgeous island to enjoy all of your home cooked meals! Enchanting bathrooms that consists of brand new tiled floors and showers along with marble top vanities! Entire home has been freshly painted with a great combination of hardwood floors on 1st level, and brand new carpet on main and upper level. Entire crawlspace has been insulated with vapor barrier installed. A tremendous amount of space in back yard leaving you tons of possibilities to entertain! This is a MUST SEE!! 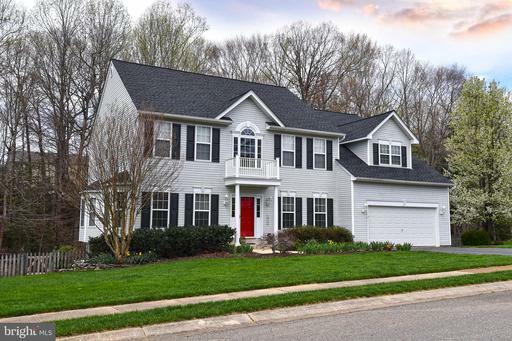 Gorgeous, Well-Mainted Colonial in Mays Chapel Village with more than 5000 sf of living space and 1.7 acres make this home a private oasis in Timonium. 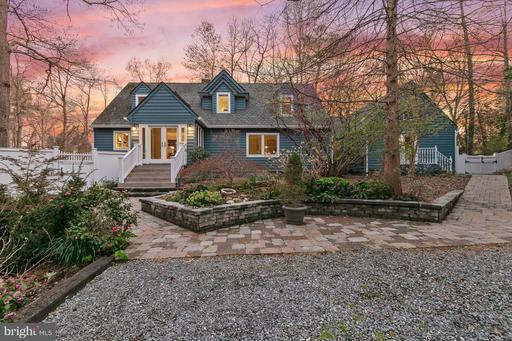 This extraordinary custom designed stone and siding center hall colonial located in the coveted Beaverbrook development offers a total of 7 bedrooms, 5 full baths, and 1 half bath. The home is situated in a cul-de-sac on a manicured 1.6 acre lot with gorgeous plantings in the coveted Beaverbrook community. The home features exceptions living spaces on three levels. The main level includes a dramatic two-story marble floored foyer, an inviting living room and formal dining room great for entertaining. The impressive gourmet kitchen is equipped with professional stainless steel appliances, granite counters, wood cabinetry, a large center island with breakfast bar. The charming family room with gas fireplace adjoins the kitchen, a breakfast area, and an office/den. The atrium doors from the kitchen/family room provide access to the lovely rear patio with fire pit and gas line. The mud room and half bath are accessed from the 3 car garage. Additional enhancements include: 9~ ceilings, marble foyer, tray ceilings, and crown moldings. The second level consists of a spacious en-suite master bedroom and spa like bath with soaking jetted tub, steam shower, separate vanities, and walk-in closets. 4 additional bedrooms and 3 additional baths, and the laundry room complete the second level. The lower level has been finished to create an au-pair suite complete with a kitchen, 2 bedrooms, living/dining area, full bath and a walkout to the exterior. Looking for quiet living? Escape the busyness of your days to this very nice 4 bedroom, 3 bath move-in ready home with so much to offer. 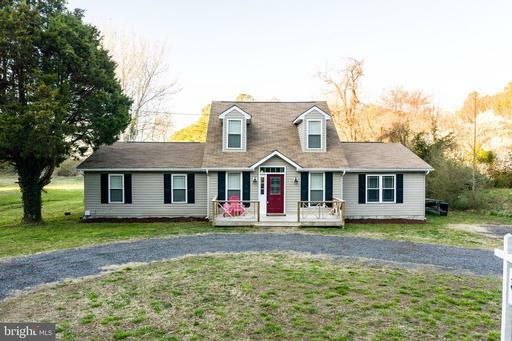 Private 1+ acre lot, backs to woods, quartz kitchen countertops w/breakfast bar, updated kitchen appliances, new flooring in kitchen, 3 bathrooms and mud room, granite countertops in bathrooms, freshly painted, new roof 2018, heat pump installed 2017, his and her closets in master bedroom with full bath, fireplace, attached garage, large firepit, deck, nice size shed, good storage space throughout house. Enjoy watching the sunset from your front porch. 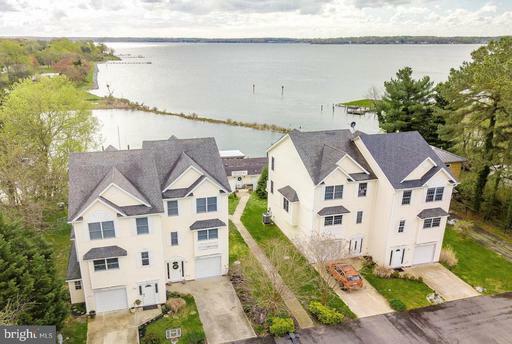 23 miles to Patuxent River Naval Air Station, 24 miles to Dahlgren Naval Base and near local waterfront restaurants. Beautiful 5 Bedroom Home nestled in a Cul-de-sac in the Mariners Cove Beach Access Community. Right outside of PAX/NAS Gate #3 for easy, convenient commute. 3 Bedrooms on Main Level including the Master Suite, and 2 on the upper level with a full bath and loft area. Hardwood Floors flow throughout the main level, Gorgeous Stone Fireplace, Private backyard, and a spacious deck that backs to trees. 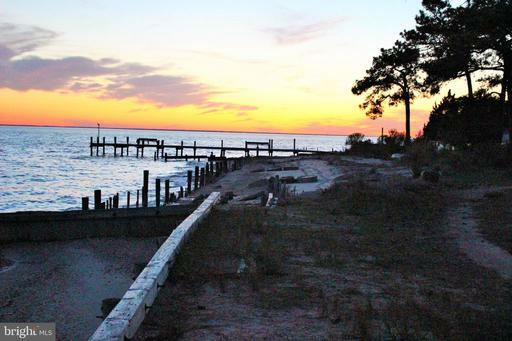 Private Community Beach and walking trails along the beautiful Chesapeake Bay! Local area attractions include museums, parks, beaches, shopping, dining, and more! 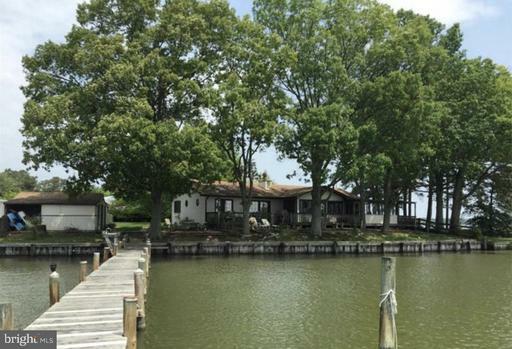 Gorgeous home located right on the marina with great sunset views out over the Potomac. Light filled home has many large windows to take full advantage of the waterfront views. Relax in the hot tub on the spacious back deck with sun shades, looking out past the marina, to the Potomac River and VA. Enter into the family rm w/vaulted ceilings, propane fireplace, greeted by the great blue heron! Kitchen has a pass thru to the FR, SS appliances, pantry, and breakfast area, formal DR opens to the FR. All hardwood floors on the lower level. From the main floor MBR, you can walk right out to the deck. Upper level has 3 more BRs and full BA. Laundry is on main level. This unique community offers tennis courts, basketball ct, tot lot, swimming pool, RV parking, and a sandy beach from which you can launch your kayak. And residents have an assigned slip! You can "live the life" in The Landings at Piney Point. Located in a waterfront building at the harbors edge, this stunning penthouse features an inviting residence with spectacular cityscape views from a wall of windows and from the expansive private balcony. Features of the home include an open living/dining floor plan, an inviting foyer, dramatic living room with wood burning fireplace, separate dining area, delightful updated kitchen and pantry , powder room and spacious en-suite bedroom and bath. The home is enhanced with gleaming hardwood floors, abundant closets, custom window treatment, one assigned parking space and an additional storage area. Building amenities include 24 hour front desk coverage and security. Gas and water usage and basic cable service are included in the condo fee. 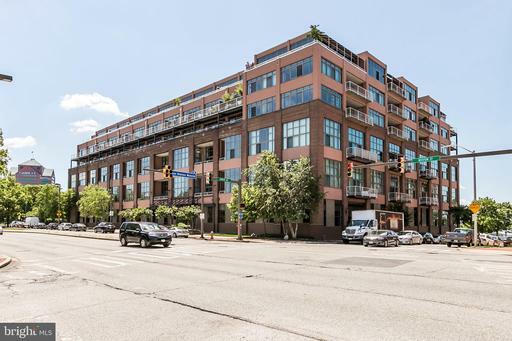 The water-front condominium complex is located in historic Canton and is within walking distance to Canton Crossing, "The Square", restaurants, bars, and parks. Within close proximity are Downtown Baltimore, Harbor East, Johns Hopkins and other hospitals, institutions, and major highways. Enjoy city living at its best! THIS HOME SHOWS LIKE A MODEL! Spectacular open floor plan with tons of natural light in every room. This 2 Car garage ~3 Bedroom townhome located in the community of Ballard Green shows owners pride with upgrades throughout the home. Enjoy entertaining in this Gourmet Kitchen~ upgraded cabinets~ Stainless Steel appliances, Granite Counter~s with Kitchen, Dining combo. Upper level Master Suite has dual walk in closets for maximum space, tray ceiling, owners Bath with shower tub. Upper Level also has 2 spacious bedrooms with hall bath. Entry level/ bedroom or office, laundry room with very spacious foyer. Relax and enjoy all the amenities that this development has to offer. Close to major highways, shopping, and restaurants. Welcome Home! Enjoy the peace and quiet in this Beautiful Colonial located on a private 2 acre lot. Home features Spacious Open Floor Plan, Freshly sealed paved driveway, Beautiful Stone Entry way with roof over head, Beautiful open foyer with freshly stained hardwood floors, Stainless Steel appliances, Brand New Granite Counter Tops, Geothermal Heat A/C, backs to trees, fresh new landscaping, fenced in backyard, New Storage Shed and much much more! Also enjoy the water privileges at the neighborhood pier! A must see! Dont miss out, schedule your appointment today!!! Sweeping sunrises overlooking St. Jeromes Creek with this spectacular waterfront property. The perfect spot for boating, fishing, crabbing, and enjoyment of many other water activities. With over 130 feet of waterfront property the panoramic views are amazing! 100ft pier and awesome shed and crab shack with cooking and cleaning area! 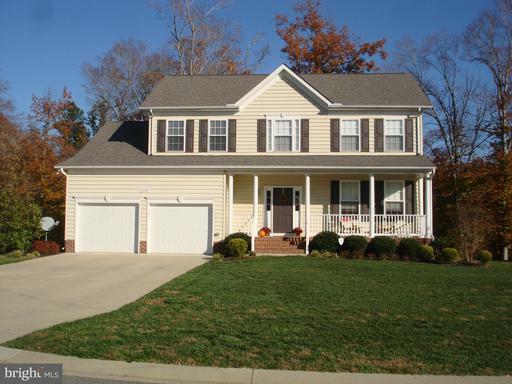 This home features 3 bedrooms, 2 full baths, family room with fireplace and 2 sunrooms. Fenced yard and 2 sheds. with a little TLC this could be the perfect getaway. Custom home will be ready by July/August 2019. Open floor plan with 1st floor master suite and 2nd bedroom/bath. Upgraded kitchen with granite counters, island with darker cabinets and stainless appliances. Wide-plank hardwood floors and crown molding in main living spaces. Finished bonus room on 2nd level. 2 laundry rooms. Additional upgrades throughout include: lighting and ceiling fans, over-sized finished garage with openers, custom tile shower in master bath and so much more. You will not be disappointed. 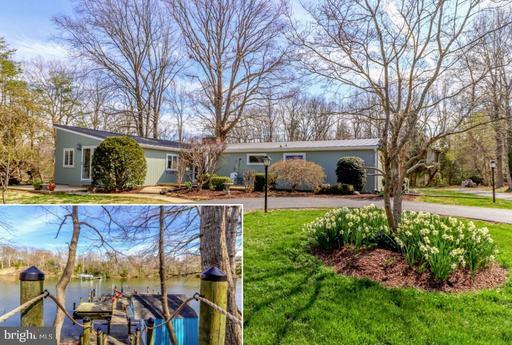 Prime waterfront property located on Whites Neck Creek on the Potomac River. Ready to go fishing, or crabbing, now you can do it from your house. This could be your dream home if you would like to walk out your door to fish from your own shoreline, or if you dream of quiet rural area in Saint Mary~s County where there are still plenty of tobacco barns and farming. The completely remodeled home sits on 2.46 acres surrounded by water with three bedroom, and two full bathrooms. The house has been masterfully renovated with an open floor plan which allows a view of the water from anywhere in the home. The kitchen has new stainless-steel appliances, tile backsplash, and granite countertops. The house has a fresh coat of paint, new flooring in the kitchen, dining area, and the hardwood floors were sanded and restrained throughout the house. Insulation has been added in the attic and under the house to make the house more energy efficient. Brand new 30-year architectural roof and boards as well. Take a look at our 3D video to see more of what this beautiful waterfront home has to offer. This home would also be a great getaway home for the weekends. 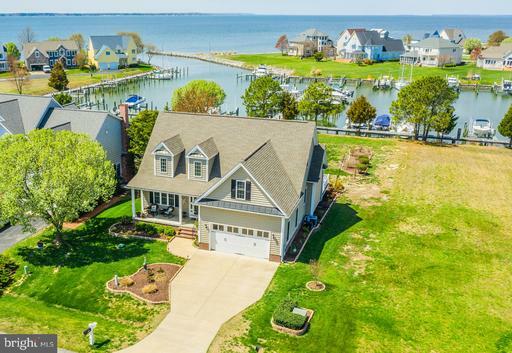 Location-Location-Location - Ideal location for boating to local water front restaurants, Solomons Island, and close to the Chesapeake Bay for fishing. Also, close to PAX River NAS and local shopping. Expansive view of Cuckhold Creek with private pier for multiple water toys. Beautiful 1. 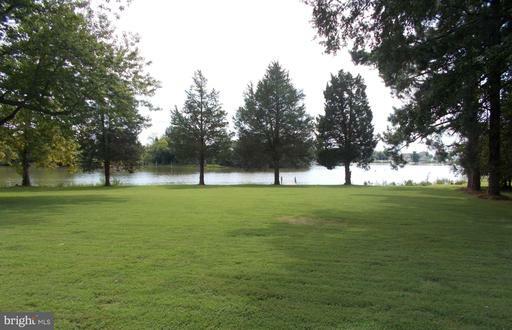 47 acres with mature trees in a very private setting. Special features include: 220ft of protected shoreline, large patio off the family room with fire pit, metal roof, new furnace, cathedral ceilings with beams, hardwood flooring, large kitchen area needs updating, laundry/mud room off kitchen with lots of storage space, wood fireplace s in family room on upper and lower level, huge integral 2 car garage, detached barn set up for storage and workshop. Must see! Custom home will be ready by June 2019. Open floor plan with wide-plank hardwood floors and crown molding in main living spaces. Upgraded kitchen with granite counters, island with darker cabinets and stainless appliances. Additional upgrades throughout include: lighting and ceiling fans, over-sized finished garage with openers, custom tile shower in master bath and so much more. You will not be disappointed. Pages: 8 Page: 1 2 3 4 5 6 7 8 See more homes at one time! Change to 10 12 30 40 50 70 100 150 homes per page.